In a recent interview (as well as during numerous talks with shareholders), veteran and venerable investor Warren Buffet is adamant gold has no place in a sensible mix of investments in anyone’s portfolio thus adding his voice to the likes of Willem Buiter and all Western central bankers. What would be good is if Mr. Buffet could explain the performance of his investments over the past ten years in relation to the performance of gold bullion as an investment and as outlined in the below chart. Above is a chart of Mr. Buffet’s investment company share price valued in gold over the past fifteen years. People truly will not understand a problem if their livelihood depends on them not understanding it. Either that, or Mr. Buffet has an agenda. How else could someone be consistently wrong over a period of ten years and still think that nothing has changed in the global economy? Gold may not be an ideal investment at all times. But clearly, gold has served a real purpose in the recent past and Mr. Buffet has either failed to notice or he must have an agenda. There is a guest post on Zero Hedge about democracy and its contradictions and it is giving rise to some interesting thoughts. I have already set forth in these pages my opinions and views on the nature of politics and have already stated that in the West it is evident that although the political process may have afforded a degree of control to the people at the outset, today the political process is thoroughly beholden to interest groups like unions and corporations. My opinion is that in a political context characterized by democratic principles, this is a guaranteed outcome. But politics is not and cannot be discussed in isolation. Politics is not something that can exist in the absence of the need for power over people and things. Thus politics comes about to control those aspects of life that pertain to the acquisition and wielding of power. In a primitive society, power could be the control of a territory or of the women of child bearing age. Control could come about simply by killing or keeping others away from one’s acquired territory or women. In more developed societies, control comes about through the acquisition and control of that which is used to acquire territory and women. The concept of money is right up there in terms of utility with the invention of the wheel and the discovery of fire. Money is an ingenious construct and it is the one thing that is most responsible for the acceleration in social and economic development. Money is flexible, infinitely divisible and supremely portable. Money allows human interaction to take place at several levels simultaneously. There is no reasonable substitute for money in a developed society. None. As the ultimate medium of exchange, money frames all other human constructs. All bar none. All human constructs and action evolve within the confines of the monetary system. Ergo, money is the ultimate driver of human development. There is nothing beyond money. Hailing from the old world where feudalism and the private interest of the elite were prevalent, Thomas Jefferson along with a very restricted band of other politicians understood the unequivocal and awesome power of money. But the power of money Jefferson refers to is not in how much you can spend of it in order to buy favors. The power of money resides in the ability of the monetary authority to enslave the population by gradually devaluing the currency. It is subtle but it is clever and it is lethal. To understand the power of money it helps to stop thinking of it as the bits of paper and coins you carry around in your pocket. It matters not what is used as “money”. Money is only a vehicle; it is a medium of exchange. Throughout the ages things like salt, stones or shells have been used as money. In prison, cigarettes may function as money. What matters is not the form it takes. What matters is how it is handled. In our presumed open societies based on democratic principles, our politicians have allowed a certain degree of popular participation in the political process. However, democracy must inherently lead to the concentration of power as each individual understands that their wish can become reality only if enough people vote for it. Hence individuals see an interest in banding together in groups to exercise power trough numbers. Corporations and unions are a typical example of the concentration of votes that comes about in a democratic environment. But corporations and unions work for their own self preservation and the perpetuation of their own power base which must necessarily work against the interests of society at large. But the real threat to liberty is not what happens in the political arena. The real threat to liberty is how the monetary system is managed. Notice here that although society can play a partial role in the political process, it can most certainly not play a role in managing the monetary system. In the West today the monetary system is managed unilaterally and arbitrarily behind closed doors by an elite that has the appearance of independence from government. By deliberately imposing debt based fiat money (DBFM) upon society, the monetary elite draws an invisible boundary around it. This boundary is subtle but it is lethal. DBFM is predicated on the perpetual expansion of inflation. Ergo, DBFM is predicated on the perpetual expansion of debt. But inflation is a dynamic that conforms to the law of diminishing marginal utility so that ever greater quantities of debt are required in order to obtain the same result. As you keep doing that over several decades, the purchasing power of the currency gradually wanes. And that’s how enslavement happens. At the outset, DBFM doesn’t feel any different than any other kind of money. That’s because at the outset, the intrinsic value of the currency is at par with the intrinsic value that people exchange it for when buying goods and services. But as inflation gradually erodes the purchasing power of the currency, economic actors find they need ever more currency for the same good or service. This is the reason that at the outset of this iteration of DBFM families could get by on one salary. But as inflation progressively erodes the purchasing power of the currency, economic actors must not only deplete their savings but they must also make use of debt. Initially debt may only be used for a little extra luxury. 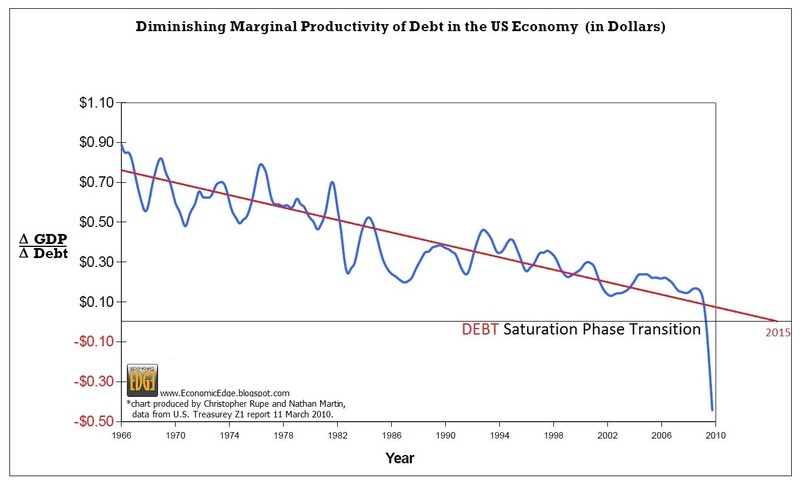 But as the inflationary dynamic progresses, debt becomes necessary to make ends meet. As society finds it progressively more difficult to make a living, interest groups gradually garner votes by promising social safety nets. Things like social security or social health care or subsidies for example. As inflation progresses, society becomes ever more dependent on social spending and on debt till at one point people find themselves dependent on the state and on the hook to the monetary authorities. At that point, the trap has slammed shut. That’s the “clunck!” you heard in 2007. There is only one way to get out of this jam. The only way to re-acquire our freedom is to shun the banks. Withdraw any savings you may have from any of the major banks. This is not a painless decision. Withdrawing your savings and or closing your accounts with one bank may entail losing lines of credit that must be closed too. By impacting the capital ratios and income straems of banks, we, the little people, can bend the banks. The other trick that can bring the monetary authorities to heel very quickly is by collapsing the velocity of money. The way to do this is to stop spending on things that are not necessities. If you really want to push the boat out, you can also buy yourself one coin and one ingot of gold and silver each. If every single person in the West did that, the attention of the monetary authorities would be secured immediately. How to curb bank bonuses?? If our governments had not given public money to the banks, bonuses would really not be an issue today. “Quoting the economist Herbert Stein in saying that “if something cannot go on forever, it will stop,” Bernanke said that the federal government must stabilize its budget. Since it appears that Bernanke does understand the dynamics involved, then the legitimate question that comes to mind is why persevere in a course of action that is clearly and glaringly politically expedient thus corrupt and detrimental to the well being of the nation and, by virtue of the US$ being the global reserve currency in a floating exchange rate environment, detrimental to the stability of other nations too. Even more absurd is how Bernanke is willing to take credit for some things but not for other things that are intimately related. It is disingenuous of Berrnanke to deflect even partial responsibility for the rise in prices of commodities given that he is taking credit for the increase in value in the financial market for example. But more to the point, Bernanke is trying to make lemonade with the lemons he has unwittingly been left with. Bernanke is obviously counting on people’s short attention span. Namely, the original stated intent of QE was to keep interest rates artificially low by artificially propping up the bond market. What has happened instead is that despite the hundreds of Billions spent on QE the bond market has sold off regardless and interest rates took off effectively increasing the cost of new loans for companies and individuals.